The teaching and practices of the Katori Shinto Ryu school are under the aegis of our head Dojo, the main branch of Katori Shinto Ryu in Narita, Japan. 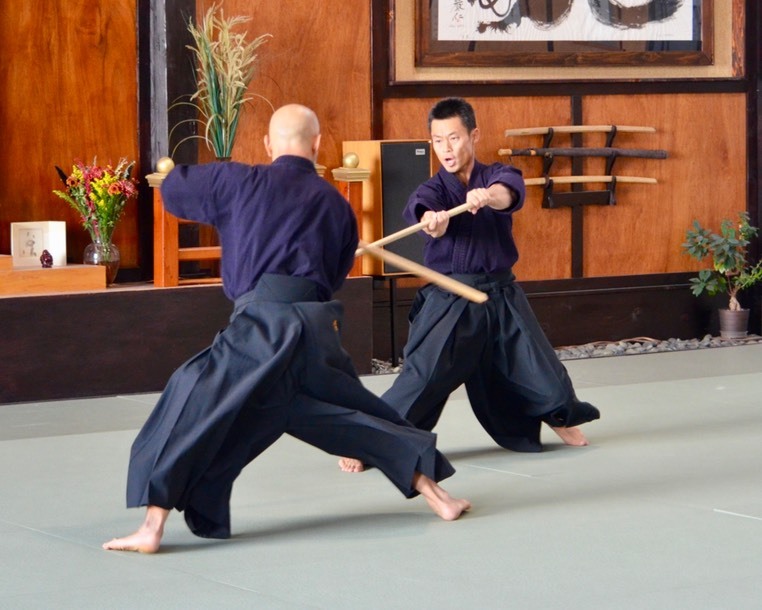 This head Dojo is led by Iizasa Yasusada who teaches a martial arts practice as taught by the Ōtake family at Shinbukan Dojo. 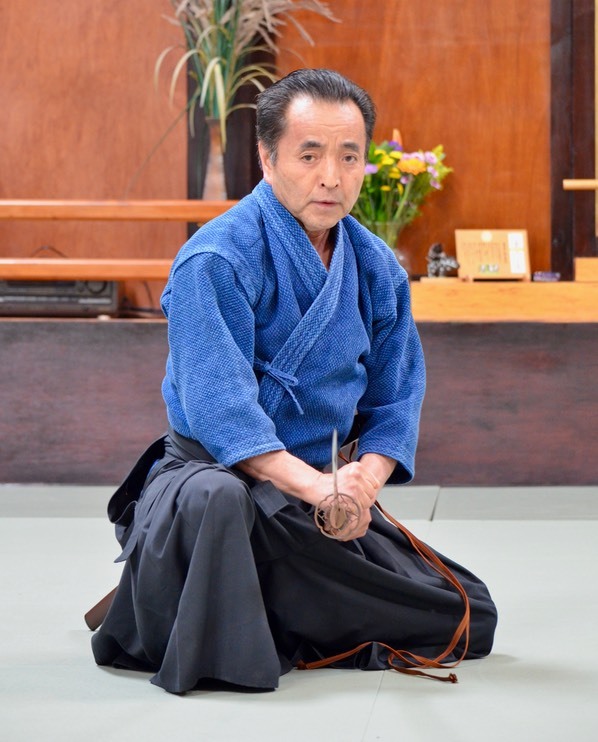 Our school's Senior Shihan Ōtake Nobutoshi is pictured below, when teaching a seminar at Redlands Aikikai in 2018. Practice is held from 9:30 am to 12:30 pm on two Saturdays of each month. Please see the sidebar on the left for dates for the coming month.